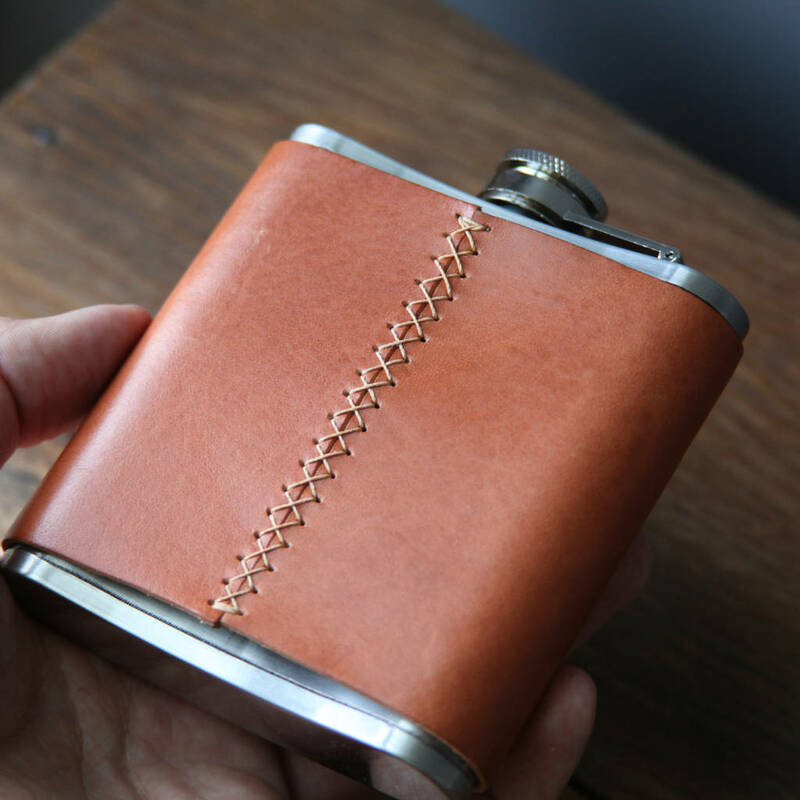 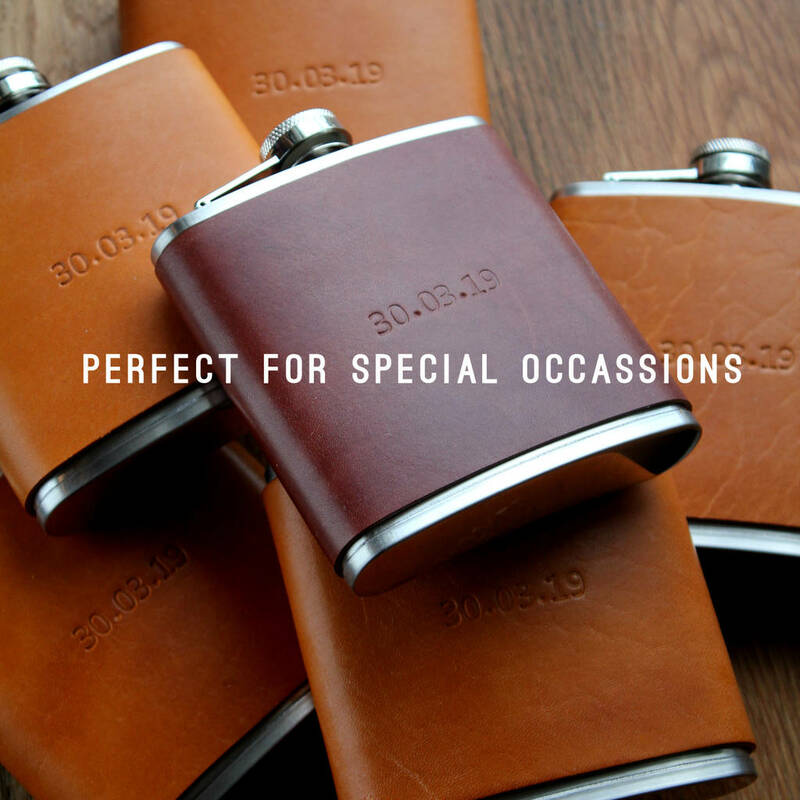 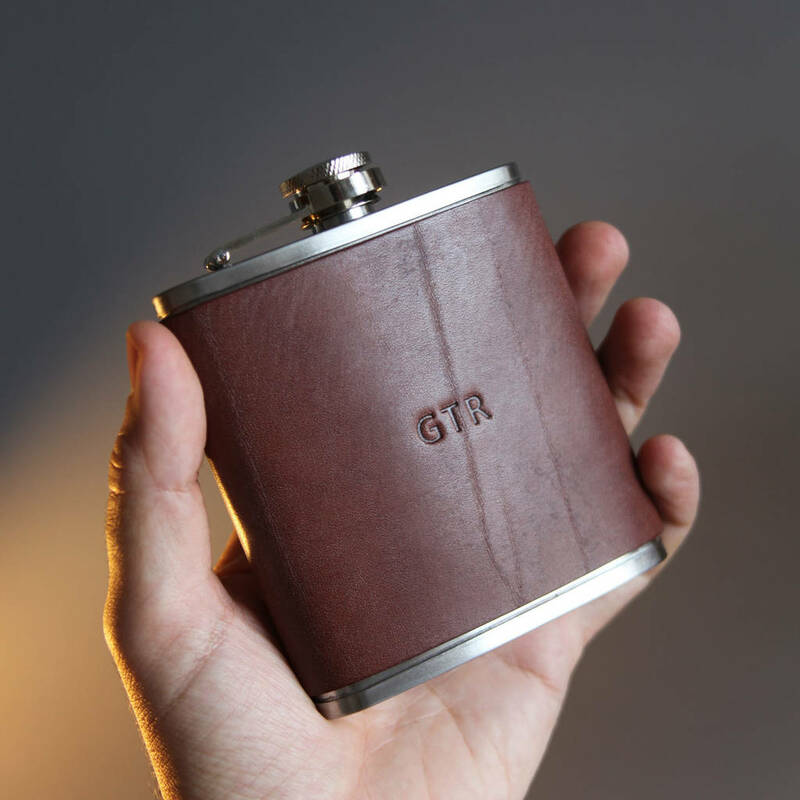 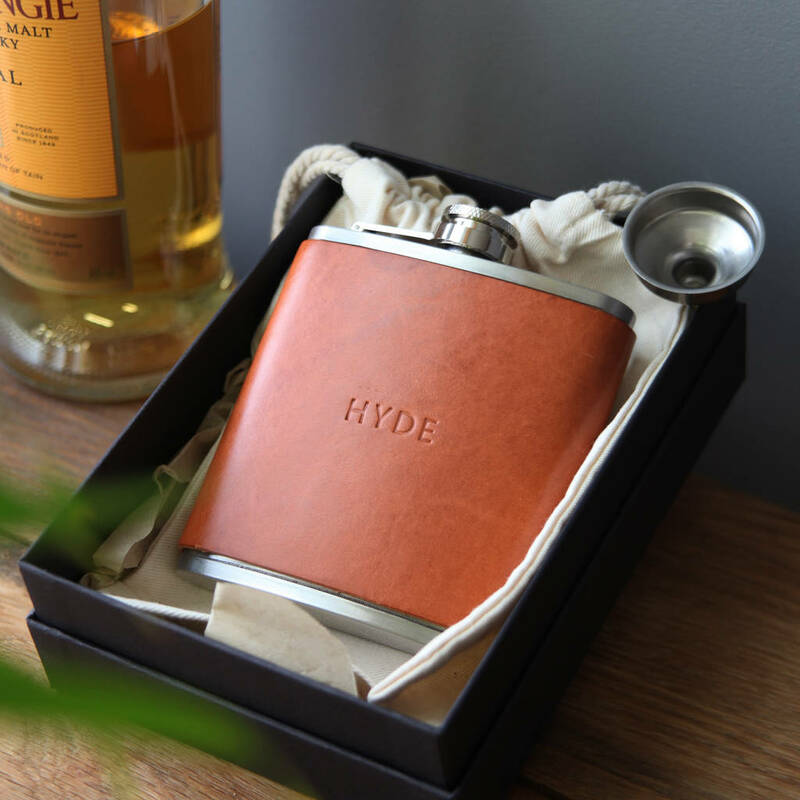 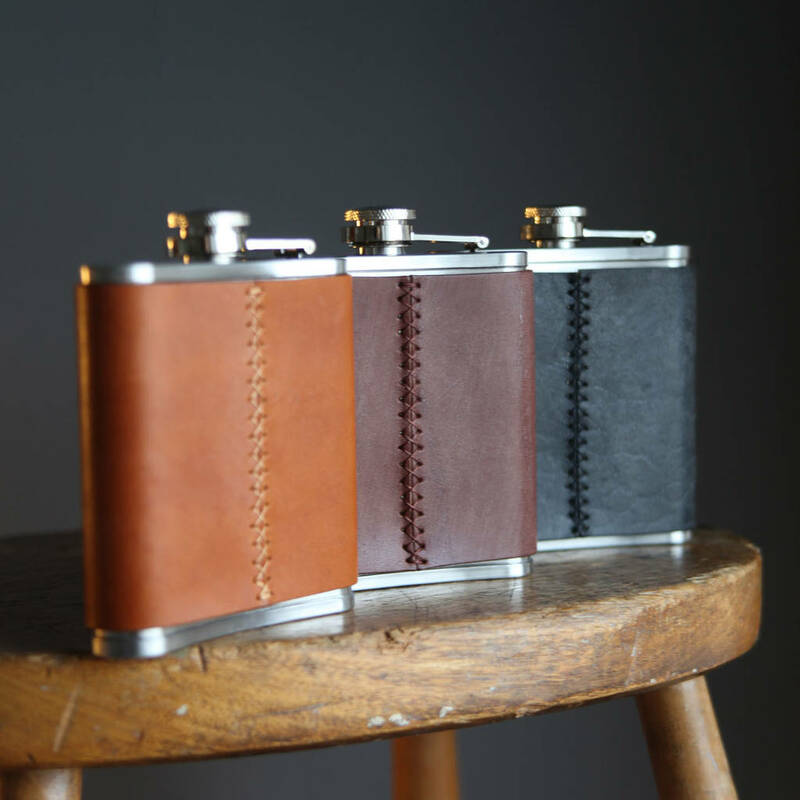 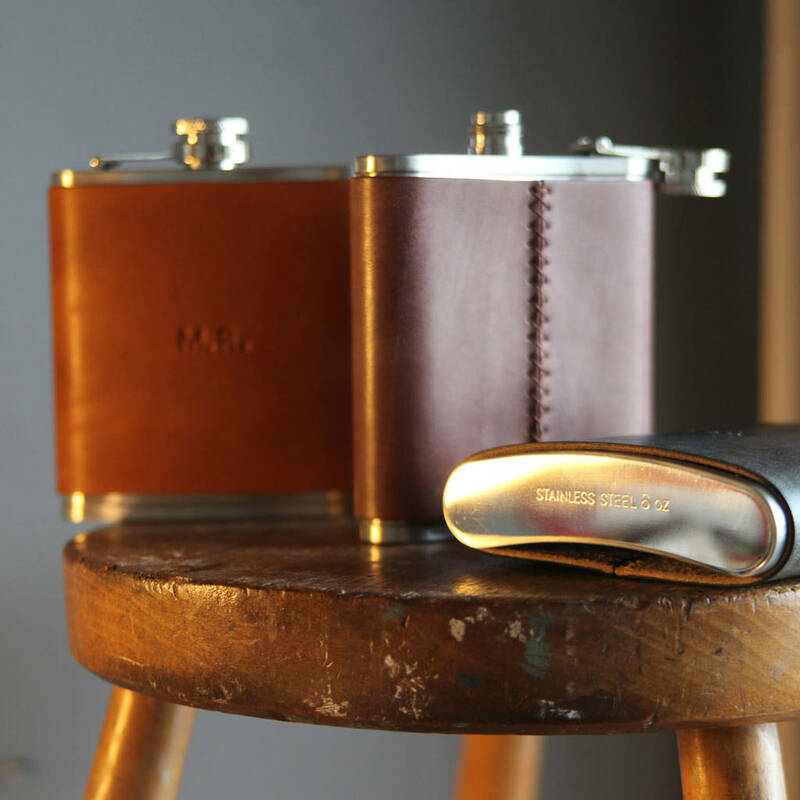 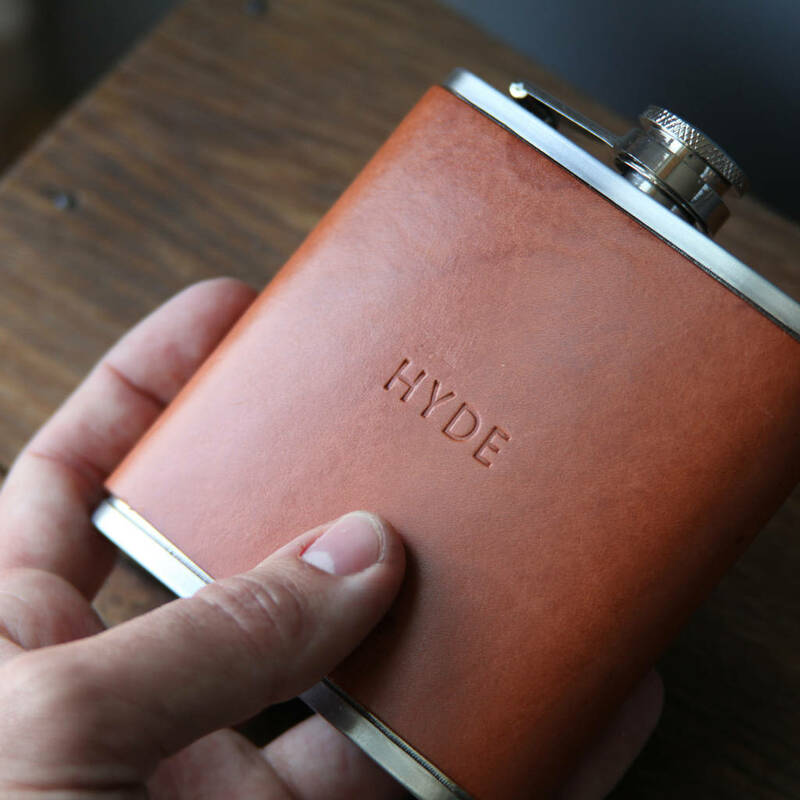 Stanless Steel Hipflask with handstiched leather cover - personalised for free. 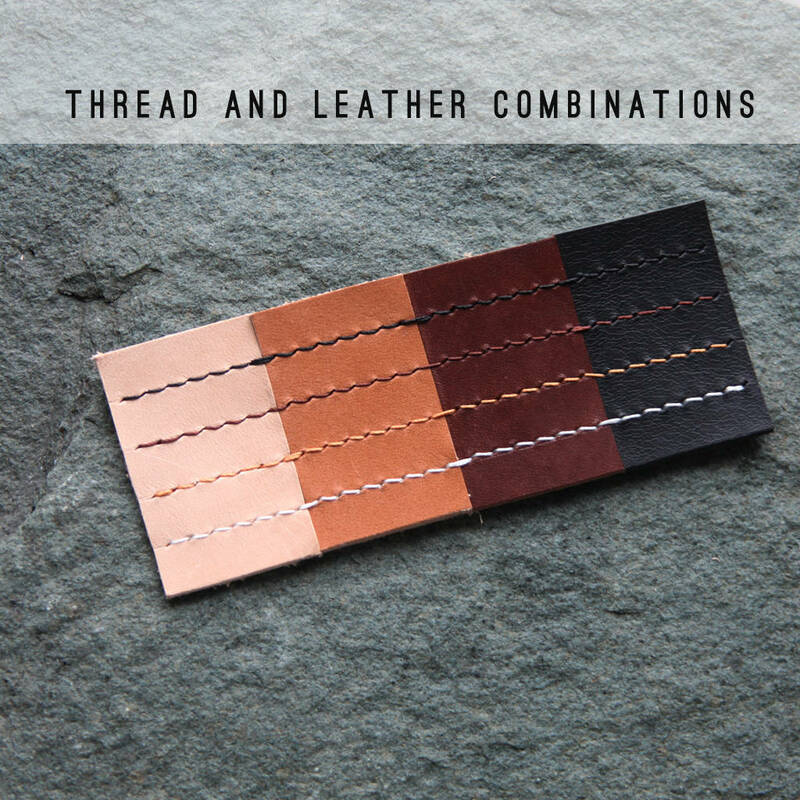 Available in Black, Brown, Tan and Natural vegetable tanned leathers, with handstoched detail on the back. 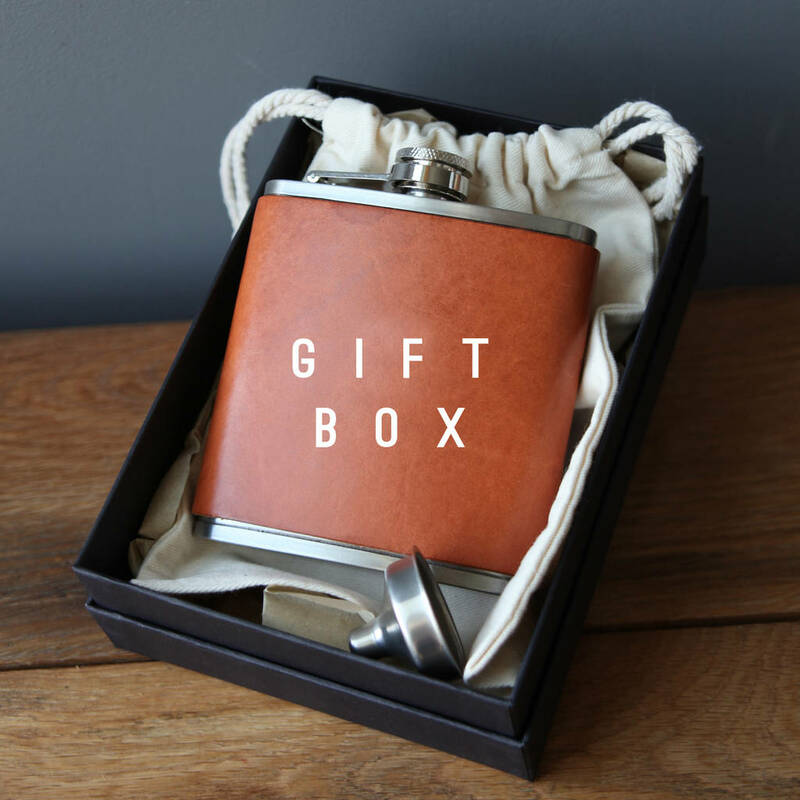 Hiplflask comes with a funnel and display box making this the perfect gift for any occasion. 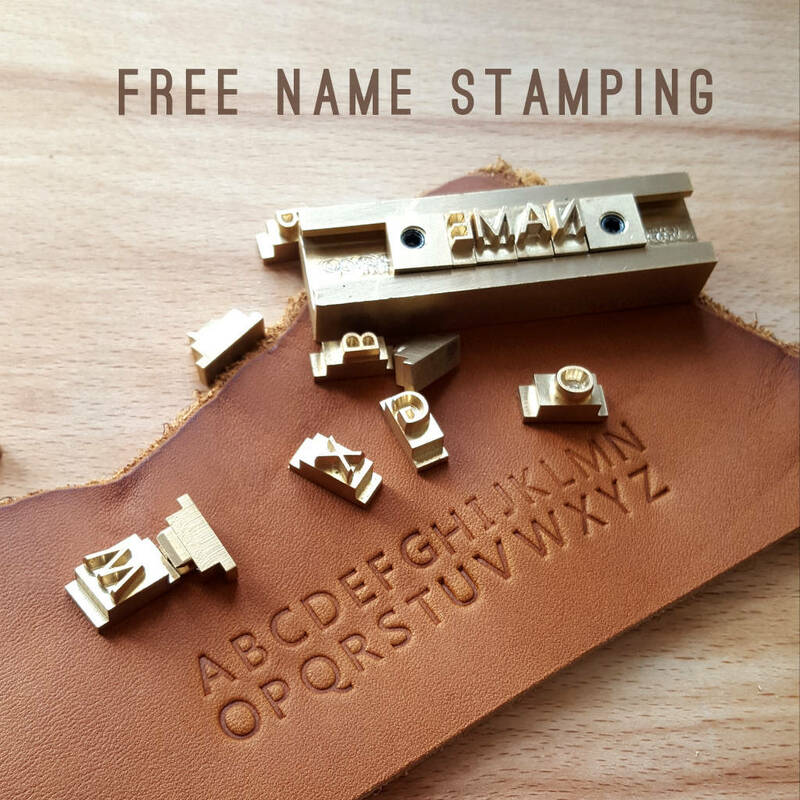 Please let me know if you'd like any name or date stamped onto the item, free of charge! 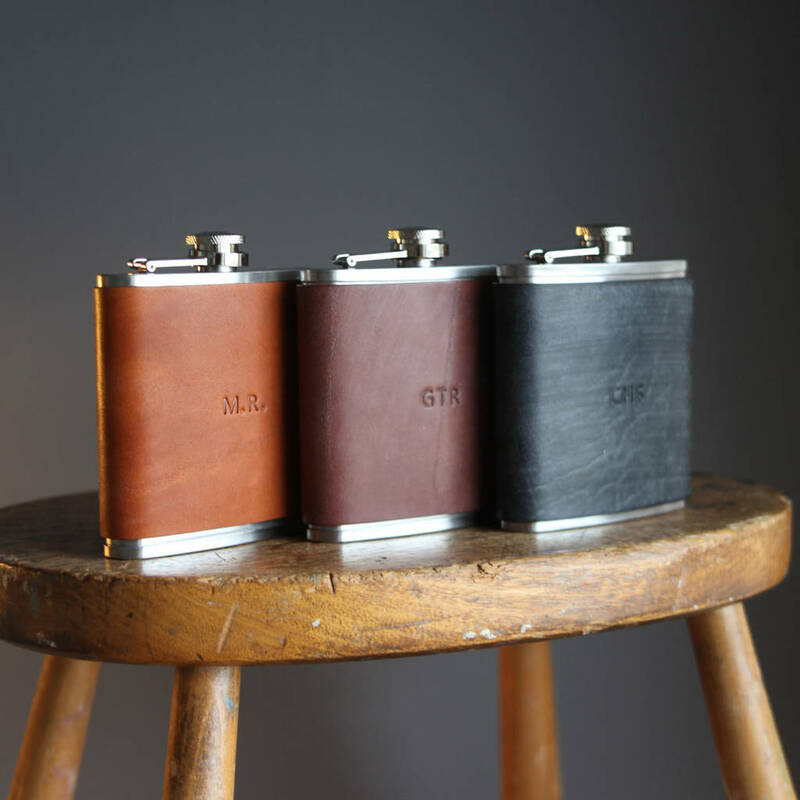 Each letter measures roughly 5mm x 8mm, only available in CAPS and a maximum of 15 letters.